A bridge loan is interim financing for an individual or business until permanent financing or the next stage of financing is obtained. Money from the new financing is generally used to “take out” (i.e. to pay back) the bridge loan, as well as other capitalization needs. Bridge loans are typically more expensive than conventional financing, to compensate for the additional risk. Bridge loans typically have a higher interest rate, points (points are essentially fees, 1 point equals 1% of loan amount), and other costs that are amortized over a shorter period, and various fees and other “sweeteners” (such as equity participation by the lender in some loans). The lender also may require cross-collateralization and a lower loan-to-value ratio. On the other hand they are typically arranged quickly with relatively little documentation. Property owners needing to pay transfer duties, rates and taxes etc. Get cash in advance to cover the transfer duties and costs, when you buy a home. When buying a property, little thought is given to the transfer costs involved. If money has not been set aside for these costs, it can delay and prolong the transfer process. These costs must be paid before registration can take place. PFC will advance 100% (less costs) of the amount approved in the bond, to cover transfer duties and costs. Estate agent commission paid out on the same day. PFC will advance up to 80% of the commission available to you. Our consultants will guide you through the process. When a property is sold, a Rates and Taxes Clearance Certificate must be produced before registration with the Deeds Office can take place. Council requires payment five months in advance before this certificate can be issued. Account arrears, and the required advance payment to settle these, are often not budgeted for when selling a property. PFC gives the seller the amount owed for outstanding rates and taxes, from the surplus amount available from the property sale. Expert advice and the best rates to suit your home financing needs. Expert advice and assistance from PFC to get the best possible deal at the best mortgage rates to suit your home financing needs. You can also remortgage with us. Switch to a lender that offers better interest rates and conditions to suit your changing financial situation and needs. Terms and conditions apply. 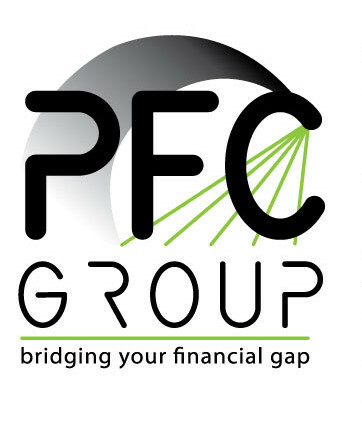 PFC GROUP will help you receive cash in advance, when applying for a second bond on your property. You can get cash in hand even before the bond is registered. When you apply for a second mortgage bond, you may have to wait longer than six to eight weeks to receive your money. PFC will advance up to 80% of the bond amount, after having received all relevant information from the bond attorneys. PFC will fast track the payment of proceeds from the sale of your home. You can avoid the uncertainty and stress of waiting for the registration of transfer before you receive any cash. In South Africa, a property seller is usually only paid their proceeds once the registration of transfer to the purchaser takes place. This can be three months or more. The seller then has to wait before they receive any cash from the transaction. When using PFC, the seller does not wait long to receive their proceeds. When your property is sold, and after we have received certain specified information, PFC will advance up to 80% of the surplus available to you. The surplus is the cash available to you after the settlement of all your transfer liabilities.